Communities@Work needs your warm winter clothes! Do you have spare blankets, sleeping bags, jumpers, scarves, beanies and gloves that you don’t need? 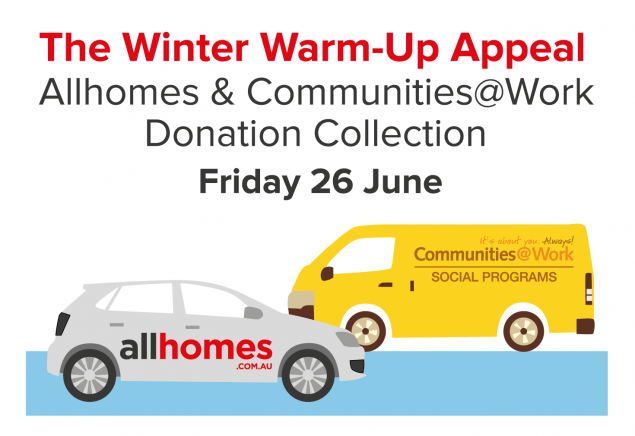 Allhomes and Communities@Work are taking to the streets next Friday 26 June to collect donated winter gear from participating businesses around Canberra. You can help keep the most vulnerable members of our community warm by donating any spare blankets, sleeping bags, jumpers, scarves, beanies and gloves. Communities@Work’s social programs also provide disadvantaged men and women in need with free clothing for job interviews. Your donations of special occasion and business clothing, shoes and accessories can help people back on the path to employment. Simply drop your donations to one of the registered collection points listed below before Friday 26 June. A HUGE thank you to Allhomes for running this and to all the participating agents. Communities@Work’s social programs provide immediate assistance to vulnerable and disadvantaged people experiencing hardship by providing services such as food, clothing and other essential services. 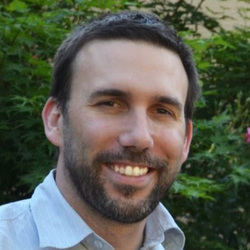 Communities@Work also helps get people back on their feet. For many who are unemployed, on low incomes or who have experienced a life changing event, it can be a real struggle to get back into the workforce, and the cost of suitable clothing for job interviews or to commence new employment can be huge. Communities@Work provides people in need with free clothing, shoes and accessories for job interviews, work experience or other special events. Your donations of good quality special occasion and business clothing, shoes and accessories can also help people back on their feet and on the path to building a better future.